New Baltimore, Anchorville, New Haven, Fair Haven, Harrison Township, Mount Clemens, Macomb, Casco, Ray, Algonac, Harsens Island, Clinton Township, Utica, Marine City, Saint Clair Shores, Richmond, Fraser. 48051, 48004, 48048, 48023, 48045, 48042, 48043, 48046, 48050, 48044, 48064, 48036, 48096, 48038, 48001, 48028, 48035, 48315, 48039, 48082. Located in the Northeast quadrant of Macomb County, Michigan we are approximately 30 miles north of Downtown Detroit. We are west of I-94, north off of 23 Mile Road. Whether you have good credit, bad credit, or no credit, our team is ready to help you find a great used car that meets your budget. We sell all makes and models, with great late-model low-mileage selections from Ford, GM, Chrysler, Jeep and other brands. Whether you are looking for a used minivan, crossover, convertible, truck, suv or sedan, our team will help you find the perfect vehicle for your lifestyle. You can buy or lease your next car. We also have a great service department as well to help you with your next oil change, tire rotation and more. 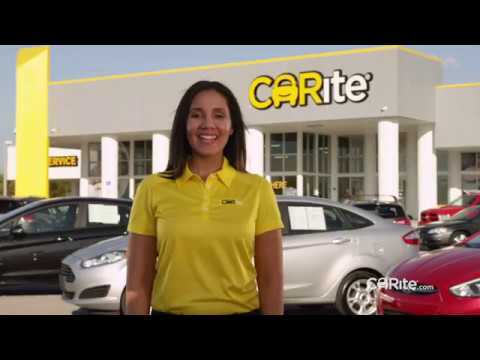 Visit me and our team at CARite of Madison Heights today and see why "Yes Means More" here! The manager of this location is Jason Moceri. I called to ask questions on this vehicle and the salesman was informative, nice and helpful. Walked in Monday night after work, almost close to their closing time. Carl and Jason helped me find a car in no time and they were awesome and efficient! 10/10 would recommend anyone to go in there! In 2016… I had a real no hassle, full service customer service experience. It's been a few years and looking to buy again. Wish me luck. ? The service department has a great group of people. Mike and the team are fantastic...so helpful when I had an emergency with my car...got me in right away and showed me exactly what the issue was. I can't thank them enough. I will never take my car anywhere else for service! Son was looking for a newer car, we didn't end up buying from there but the sales team there are no pressure team. Enjoyed not being pestered by sales team! Went in just to see a certain vehicle, was able to test drive with no pressure at all. They did an appraisal on my vehicle and as I expected with what I owed it would have been too big of a loss, they were very personable and no pressure at all, decision was made to wait. I will have no problems going back to them when the timing is right.